When an event as catastrophic as the financial crisis occurs, it is our responsibility to understand what went wrong. Apart from the process of ascribing blame is the pursuit of knowledge for its own sake: to understand, to learn, and to grow as a society. The day after Lehman Brothers shuttered its doors, on September 15, 2008, I scoured the Wall Street Journal along with several of my colleagues but found little in the way of explanation about the human errors that dismantled a 158-year old institution. As is often the case immediately after a crisis, emotions subvert our ability to see things as they are. Our attachment to the past influences how we understand the present. In the days and months following Lehman’s bankruptcy filing, the crisis deepened and further delayed an objective examination of the past. Nearly five years later, research and insights are coming to the fore that tell us more than what occurred. Now, we are beginning to learn why. These intervening years have created emotional distance from the past, allowing us to observe without passion and seek answers to enduring questions. In the article, Mr. Grody provided a risk-based assessment of cultural and technological changes that influenced many financial institutions from the early 1980s through to the crisis. He then lent the credibility of his personal experience shaping corporate culture in a 150-year old private partnership during those early decades of global growth. As the business grew and expanded, the firm’s senior leaders frequently jetted to foreign lands. “We became increasingly detached, ever so slowly, from the personal mentoring that was so critical to communicating a culture across decades let alone generations. . . [Thereby devoting] increasingly less time in preserving the culture we had inherited. “We recognized this change and hired academics and professional educators to teach ethics and imbue our culture, but it wasn’t the same. We weren’t alone. Our clients, great financial institutions steeped in centuries-long vision and values cultures, hired the same outside mentors and tried similar programs. Mr. Grody explained how Wall Street firms transitioned from private partnerships to public companies, a process that began in the 1970s and culminated notoriously in 1999 when Goldman Sachs, the last prominent holdout, went public. He referred to the time when partners had their own money tied to the firm’s success as one when senior leaders actively engaged in careful monitoring of everyday business activities. They walked the floors and took keen interest in determining the weekly market view. “There was a feeling of closeness in the firms back then – a sense of intimacy felt both culturally and physically. The personal mentoring was easier in this environment. Culture was transmitted almost effortlessly. In seeing a transgression, it could easily be remedied. “Then it began to change, slowly at first, then more rapidly through a volatile mix of partnership pushed by regulation out of its long standing legally permitted monopolistic pricing habits into an increasingly competitive business model. “Globalization removed the intimacy in which culture is best transmitted. Partners taking their own capital out of the business through a public sale of its shares removed the tie to their best risk control, putting their own money on the line. “The final nail in the coffin of any semblance of a suitable moral and ethical culture was the anonymity and claims of ‘I didn’t know,’ permitted by the evolving technological complexity. According to Mr. Grody, the winning-at-all-costs mentality that pervaded many financial firms skewed their culture because that type of greed “has no counterpoint in fear.” However, fear of loss can be realized in many ways, including a threat to customers’ wellbeing. Financial firms, and many technically oriented businesses for that matter, lack a vibrant and compelling correlation between business decisions and human outcomes, essentially the experience and mindset of their customers. In the average organization, regardless of industry, the majority of employees never meet directly with a customer, a reality that is even more pronounced for technical experts such as financial investors and traders. As a result, the human side of financial decisions rarely penetrates the walls of large financial institutions, creating a risk of apathy. Mindset segmentation, the process of grouping customers based on their psychological profile, values, and expectations, establishes a human representation of customers within the organization. These mindset-based identities are so lifelike that business leaders can intuitively assess customers’ perceptions of business changes. Mindsets enable employees to empathize with customers’ desires and values, thereby humanizing customers in an otherwise rational and data-driven environment. From a communications standpoint, mindset segmentation is a particularly valuable tool for scenario planning because mindsets are predictive indicators of how people will respond to change. In financial services, identifying customer segments that react more emotionally to market volatility can inform communications planning in advance of a specific event. Through empirical study, this expertise can develop into a new core competency and competitive advantage. The majority of employees in any organization care about their customers. That empathy can enhance communications and act as a stabilizing mechanism against a winning-at-all-costs mentality. As Mr. Grody explained, “The culture of the financial services industry is now left to be reengineered in the context of a very complex information technology and communication environment.” To combat these technical complexities, I can’t think of a more powerful counterbalance than the very human and emotional heartbeat of customers. ¹Tobias Greitemeyer, Louisa Pavey, and Paul Sparks. “I Help Because I Want to, Not Because You Tell Me to. Empathy Increases Autonomously Motivated Helping.” Personality and Social Psychology Bulletin. May 2012. Vol. 38 No. 5 681-689. ²Robert J. Fisher, Elliot Maltz, Bernard J. Jaworski. “Enhancing communication between marketing and engineering: The moderating role of relative functional identification.” Journal of Marketing. Vol. 61 54-70. July 1997. To learn more about mindset segmentation, read this article, look for my forthcoming book, “Leading with Trust: How the Financial Crisis Transformed Business,” or contact me directly. 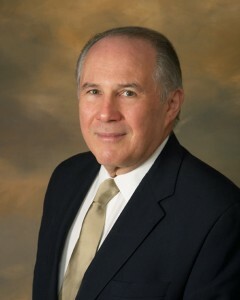 Mr. Grody has been involved in the financial industry for his entire business career of over four decades. He has been consulting domestically and internationally on strategic issues of governments, regulators and financial institutions. His activities have encompassed countrywide restructuring of capital market regulations in anticipation of pan European competition; strategic planning for the banking sector in the Persian Gulf region after the Gulf war; restructuring of capital markets trading in Italy; a visionary year-long study of the future of banking for the American Bankers Association; and expert witness testimony in a landmark patent case related to the electronic trading of financial instruments. Early in his career he was involved in innovative technology projects within the banking, securities, investment management and futures sectors of the financial industry. He continued to serve the financial industry as the founding partner of Coopers & Lybrand’s (now PWC’s) financial services consulting practice, and later went on to found businesses in financial planning, trading, risk management and internet based financial services. Professor Grody founded and taught the only graduate level Risk Management Systems course at NYU’s Stern Graduate Business School. He has served on many trade association committees and is a frequent speaker at industry and government sponsored conferences. He is currently an editorial Board Member of the Journal of Risk Management in Financial Institutions, an advisor to the Financial Stability Board and a Blue Ribbon Panel member of the Professional Risk Management International Association. ← What happened to the hubris of market rallies?